Wallace (ankle) is inactive for Sunday's playoff game against the Saints. Analysis: With Wallace still sidelined, Alshon Jeffery, Nelson Agholor and Golden Tate are in line to head the Eagles' wideout corps in Sunday's divisional-round contest. Wallace (ankle) is listed as questionable for Sunday's divisional-round game at New Orleans. Analysis: Wallace was ruled out prior to the two games immediately following his activation from injured reserve, so his current listing is a step in the right direction. Others in the receiving corps dealt with injuries this week -- Alshon Jeffery (ribs) and Golden Tate (knee) -- which could be reason enough to keep Wallace active this weekend in case one or both have in-game setbacks. Such a decision will be made approximately 90 minutes before Sunday's 4:40 PM ET kickoff. Wallace (ankle) is listed as limited on Wednesday's estimated injury report. Analysis: Wallace continues to have a cap on his practice reps, which has been his reality since he was activated from injury reserve on Dec. 24. On Monday, coach Doug Pederson told Daniel Gallen of The Harrisburg Patriot-News that Wallace remains "day-to-day," which isn't exactly a ringing endorsement for his first game action since Week 2. However, helping Wallace's cause slightly was the inclusion of Alshon Jeffery (rib) and Golden Tate (knee) on Wednesday's report as limited participants. Coach Doug Pederson relayed Monday that Wallace (ankle) is day-to-day as Sunday's playoff game against the Saints approaches, Daniel Gallen of The Harrisburg Patriot-News reports. Analysis: Wallace, who hasn't played since Week 2, was activated off IR on Dec. 24. While he's inching closer to a return to action, the wideout is hardly a lock to suit up Sunday, and even if he does, Wallace would have Alshon Jeffery, Nelson Agholor and Golden Tate to compete with for targets in the Eagles' Nick Foles-helmed offense. Wallace (ankle) has been ruled out for Sunday's wild-card game in Chicago. Analysis: Since he was activated from injured reserve on Dec. 24, Wallace has been listed as a limited participant on Eagles injury reports, but the activity hasn't been enough for him to gain clearance to play in a game. Perhaps the team would throw caution to the wind if one of Alshon Jeffery, Nelson Agholor or Golden Tate suffered an injury in the postseason. That said, Wallace may have to elevate to "full" before a return to game action will be considered. Wallace (ankle) was again a limited participant in practice Thursday, Dave Zangaro of NBC Sports Philadelphia reports. Analysis: Wallace's limited participation in both of the first two practices is an encouraging sign, though he's not expected to return for the wild-card game against the Bears. Even if he makes a quick recovery, Alshon Jeffrey, Nelson Agholor and Golden Tate are slotted in as the Eagles' top three receivers for the contest. Wallace (fibula) is listed as a limited participant on Wednesday's estimated practice report, Martin Frank of The Delaware News Journal reports. Analysis: While he isn't expected to return for the wild-card round matchup with Chicago, Wallace might eventually secure a minor role in the Philadelphia offense if the team makes another deep playoff run. Alshon Jeffery, Nelson Agholor and Golden Tate will serve as the primary three-receiver alignment Sunday. Wallace (fibula) isn't expected to return for Sunday's playoff game in Chicago, Mike Garafolo of NFL Network reports. Analysis: Eagles coach Doug Pederson said Wallace likely will remain limited to individual drills during practice this week. It isn't a major concern for the Philadelphia offense, as Wallace would have a tough time getting snaps behind Alshon Jeffery, Nelson Agholor and Golden Tate. The Eagles ruled out Wallace (fibula) for Sunday's game at Washington, Zack Rosenblatt of NJ.com reports. Analysis: The Eagles opened the door for Wallace to return by activating him from injured reserve Monday. He proceeded to practice in a limited fashion all week, but his next appearance will have to wait until either the postseason (a win by Philly this weekend most coincide with a Vikings loss to the Bears) or the 2019 campaign. With Wallace officially out, the Eagles will trust in Alshon Jeffery, Nelson Agholor and Golden Tate as the top three wide receivers. Coach Doug Pederson said Wallace (lower leg) will be limited at practice Friday, Martin Frank of The Delaware News Journal reports. Wallace (ankle) practiced in a limited fashion Thursday. The Eagles listed Wallace (lower leg) as a limited participant at Wednesday's practice, Dave Zangaro of NBC Sports Philadelphia reports. Analysis: The practice status is an estimation, as Wednesday's practice was just a walk-through. Wallace was activated from injured reserve Monday, potentially setting him up to return for Week 17 at Washington and/or during the playoffs. He's expected to do some running Thursday, but it isn't clear when he'll be ready to take contact. Wallace will probably have a hard time earning snaps even if he's cleared to play. Coach Doug Pederson labeled Wallace (lower leg) as day-to-day Wednesday and wouldn't confirm that the wideout would play Sunday in Washington, Eliot Shorr-Parks of Sports Radio 94 WIP Philadelphia reports. The Eagles activated Wallace (fibula) from injured reserve Monday, Zack Rosenblatt of NJ.com reports. Wallace (fibula) is expected to take part in individual drills at Wednesday's practice, Zack Rosenblatt of NJ.com reports. Analysis: Coach Doug Pederson relayed the news, which officially would make Wallace the second Eagle to be designated for a return from injured reserve. The Eagles may be pressing their luck with Wallace because a Week 17 victory must coincide with a Vikings loss in order to reach the playoffs. If he doesn't do enough to play this week, the veteran wide receiver may not have an opportunity to suit up again until the 2019 campaign, which could be in a new locale with free agency incoming in the offseason. Wallace (leg) has started running but isn't ready to practice, Jeff McLane of The Philadelphia Inquirer reports. Analysis: The Eagles haven't exactly laid around waiting since Wallace suffered a broken fibula Week 2, first signing Jordan Matthews and then trading for Golden Tate. The offense still lacks a deep threat with straight-line speed, but it's hard to imagine the 32-year-old Wallace can be that guy while working his way back from such a serious injury. The best-case scenario here is Wallace gaining a small role in late December and possibly the playoffs. Coach Doug Pederson was unwilling to commit to Wallace (lower leg) returning from injured reserve this season when asked about the matter Thursday, Zach Berman of The Philadelphia Inquirer reports. Wallace (lower leg) said he's hopeful to return from injured reserve at some point in December, Zack Rosenblatt of NJ.com reports. Wallace (fibula) watched Thursday's practice without a walking boot on his right leg, Dave Zangaro of NBC Sports Philadelphia reports. Analysis: A resident of injured reserve since fracturing his right fibula Week 2, Wallace is slowly but surely getting healthier, but still appeared to be walking with a slight limp Thursday. After the Eagles used one of their designated-to-return slots from IR on Richard Rodgers (knee) earlier this week, the team can only use one more the rest of the way. Wallace is a candidate but seems to be weeks away from forcing the Eagles' hand. Wallace (fibula) was spotted with a walking boot on his right leg in the Eagles' locker room Wednesday, Dave Zangaro of NBC Sports Philadelphia reports. Analysis: Wallace remains in recovery mode from the fractured right fibula suffered Week 2, which necessitated surgery and his placement on injured reserve. The Eagles can only designate two players to activate from IR in a given season, and given his current standing, Wallace may be behind both Mack Hollins (groin) and RIchard Rodgers (knee) in the pecking order. Offensive coordinator Mike Groh hopes that Wallace (lower leg) will be able to return this season, Reuben Frank of NBC Sports Philadelphia reports. Eagles head coach Doug Pederson said that Wallace (lower leg) hasn't been ruled out for the season despite being placed on injured reserve Wednesday, Mike Garafolo of NFL Network reports. The Eagles placed Wallace (lower leg) on injured reserve Wednesday. Wallace reported via his personal Twitter account that he had surgery to repair a fractured fibula he suffered Sunday against the Buccaneers. Analysis: Wallace still hasn't been placed on injured reserve, but he will likely land there soon. The Eagles currently have three healthy wideouts -- Nelson Agholor, Shelton Gibson and Kamar Aiken, with Alshon Jeffery (shoulder) possibly returning in the next week or two -- so they will bring in Jeremy Maclin for a workout, John Clark of NBC Philadelphia reports. Wallace has a fibula fracture that will sideline him for at least the next few weeks, Les Bowen of the Philadelphia Daily News reports. Analysis: The wideout won't be placed on IR, pending additional testing, but that potential outcome has not been ruled out. In any case, Wallace is out indefinitely, and with Alshon Jeffery (shoulder) still week-to-week, it's pretty clear that the Eagles need to bolster their depth at wide receiver. Wallace may have suffered a season-ending ankle injury in the Eagles' loss to the Buccaneers on Sunday, Adam Schefter of ESPN reports. The receiver is scheduled to undergo further testing Monday as the Eagles look to determine the extent of the injury. Wallace, who suffered an ankle injury Sunday, is expected be out "for a while," Mike Garafolo of NFL Network reports. Analysis: The wideout is slated to be evaluated further, but it appears as though the Eagles are bracing for a potential extended absence here. Though Alshon Jeffery (shoulder) could be returning soon, Wallace's injury taxes the team's wide receiver depth and it wouldn't surprise us to see the Eagles seek help at the position in the coming days. The Eagles ruled Wallace (ankle) out of Sunday's contest at Tampa Bay, Jeff McLane of The Philadelphia Inquirer reports. Analysis: Wallace was taken to the locker room in the first quarter on the cart, diagnosed with an ankle injury and ruled out a short time later. He joins Alshon Jeffery (shoulder) as unavailable, leaving Nelson Agholor, Zach Ertz and Corey Clement as the leading healthy candidates for targets in the Eagles offense. Wallace is questionable to return Sunday at Tampa Bay due to an ankle injury. Analysis: During the first quarter of Sunday's game, Wallace limped to the sideline, was examined by the training staff and driven to the locker room via cart for further evaluation. With his injury clarified, a return to the field is murky. In his absence, and the Eagles already down Alshon Jeffery (shoulder), Agholor will lead the way among the team's wideouts, with DeAndre Carter and Shelton Gibson on hand for more snaps and targets. Wallace (undisclosed) was carted to the locker room during Sunday's game in Tampa Bay, Tim McManus of ESPN.com reports. Analysis: After limping off the field in the first quarter, Wallace had his lower body examined on the trainer's table and subsequently needed assistance to get indoors. 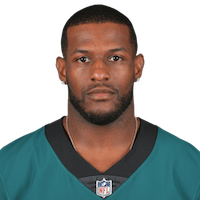 The nature of the injury is unknown, but with Alshon Jeffery (shoulder) missing a second game in a row Sunday, Nelson Agholor is the Eagles' clear top wideout at the moment. Behind Agholor, DeAndre Carter and Shelton Gibson are the candidates to experience an uptick in targets. Wallace was unable to reel in any of his three targets in Thursday's 18-12 win over the Falcons. Analysis: Wallace saw just two fewer snaps than Nelson Agholor and clearly operated as the Eagles' No. 2 wide receiver in the game. It didn't show up in the box score, however, and the 32-year-old hardly seemed part of the game plan. He saw two desperation deep targets as time wound down in the first half and wasn't heard from again until another unsuccessful deep ball in the fourth quarter. The Mississippi product may depend on a Carson Wentz (knee) return before making a real fantasy impact this season. Wallace is viewed as a key part of the Eagles' injury-plagued wideout group ahead of Thursday's season opener against the Falcons, Jeff McLane of The Philadelphia Inquirer reports. Wallace snagged one three-yard pass out of three targets during Thursday's 5-0 loss to the Browns. Analysis: Eagles fans looking forward to seeing Wallace at work were likely disappointed on Thursday as Nick Foles' lone deep ball to the speedy Wallace was floated and intercepted. Wallace seems primed to take over the No. 3 receiver role for Philly this season, but with just three yards to show for this entire preseason -- it's hard to project how he'll produce this season. Wallace is expected to play into the third quarter of Thursday's preseason game at Cleveland, Dave Spadaro of the Eagles' official site reports. 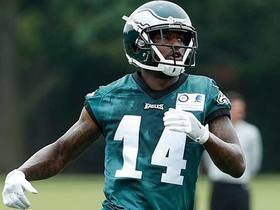 Wallace is set up to be the top wide receiver in Thursday's preseason game against the Patriots, Dave Spadaro of the Eagles' official site reports. Analysis: Wallace will take this position since Alshon Jeffery (shoulder) and Nelson Agholor (undisclosed) will both be sitting out Thursday. The veteran wideout has impressed during training camp and proven he can still stretch the field at 32-years-old. Still, in an exhibition game, Wallace likely won't play much more than a quarter, but he should have Nick Foles (neck) throwing to him. With a three-game Thursday night slate, Wallace may be worthy of a look in DFS settings. Wallace, who missed Thursday's preseason opener due to tendinitis, returned to practice Saturday, Dave Zangaro of NBC Sports Philadelphia reports. Analysis: The deep-threat replacement for Torrey Smith, Wallace appears to be no worse for the wear as he resumes his duties on the practice field Saturday. He seems a good candidate to get at least one or two preseason games under his belt, though he may have limited time to develop a rapport with starting quarterback Carson Wentz (knee) with Wentz still sidelined. Wallace isn't in uniform for Thursday's preseason game against the Steelers, Zach Berman of The Philadelphia Inquirer reports. Analysis: Signed as a replacement for Torrey Smith in the offseason, Wallace won't be involved in the Eagles' exhibition opener. Wallace is among a number of core members of the offense to take a seat -- joining Carson Wentz (knee), Nick Foles (neck), Alshon Jeffery (shoulder) and Nelson Agholor (coach's decision) -- as the team aims for improved health for its Super Bowl defense. Wallace was held out of Monday's practice due to tendinitis, Dave Zangaro of NBC Sports Philadelphia reports. Analysis: It hasn't been specified what part of Wallace's body is aching at the moment, but the wideout didn't seem concerned about the injury. Wallace, who has been dealing with the issue since Sunday, could be held out of Thursday's preseason opener against the Steelers if he fails to get back on the practice field the next two days. The Eagles and Wallace reached agreement on a one-year contract Thursday, Peter Schrager of FoxSports.com reports. 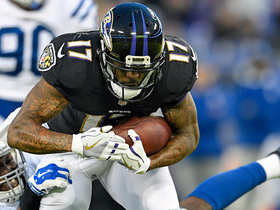 Wallace, an unrestricted free agent, could return to the Ravens, ESPN.com's Jamison Hensley reports. Wallace likely will need to test the market as a free agent, Jeff Zrebic of The Baltimore Sun reports. Wallace finished the season with 52 receptions for 748 yards and four touchdowns on 92 targets. Wallace (knee) is active Sunday against the Bengals. Analysis: After logging back-to-back full practices to finish the week, Wallace's status for the must-win, Week 17 matchup never appeared to be in serious jeopardy. He's now seen the highest snap count total among Baltimore wideouts in back-to-back weeks, and there's little reason to think that will change in Week 17. Though the opposing Bengals have little to play for, they represent a relatively challenging matchup, having allowed opposing wide receivers to score just twice in the past five weeks. Wallace (knee), who is listed as questionable for Sunday's game against the Bengals, is expected to play, a source informed Ian Rapoport of NFL Network. Analysis: Wallace's availability for Week 17 never seemed to be in much peril after he was able to put in a full practice Friday. He should be the Ravens' clear-cut top wideout Sunday with Jeremy Maclin (ankle) listed as doubtful for the contest. Wallace (knee) was a full practice participant Thursday and Friday, but nonetheless is listed as questionable for Sunday's game against the Bengals. Analysis: The official game designation doesn't mean much, as the Ravens typically opt to list players as "questionable" rather than removing them from the injury report. Wallace should be fine to handle his usual workload, seeking a seventh consecutive game as the team leader in receiving yards. As of Friday afternoon, the forecast for Sunday in Baltimore calls for a high of 25 degrees and winds around 15 miles per hour, albeit without any precipitation. Wallace (knee) practiced fully Thursday. Analysis: After being limited at practice Wednesday, Wallace's full participation Thursday puts him on track to head the Ravens' Week 17 wideout corps. He'll be counted on heavily this weekend, with Jeremy Maclin (knee) looking pretty iffy for Sunday's contest against the Bengals, a game with major playoff implications for the 9-6 Ravens. Wallace was a limited participant at Wednesday's practice with a knee injury. Wallace nabbed four of six targets for 60 yards during Saturday's 23-16 win over Indianapolis. Analysis: The veteran speedster has now recorded at least 60 yards receiving in four straight games, a mark he hit just once in his first 10 outings. Wallace is Baltimore's runaway leader in receiving yardage this season, but that doesn't mean too much on a team that is among the league's bottom three in yards per game and yards per reception. His recent hot streak will get tested in the season finale against a Cincinnati squad that held him to eight yards in Week 1. Wallace caught six of 10 targets for 89 yards in Sunday's 27-10 win over the Browns. Wallace (ankle) is active Sunday against the Browns. Wallace (ankle) is listed as questionable for Sunday's game in Cleveland. Wallace (ankle) took part in Friday's practice, Jamison Hensley of ESPN.com reports. Analysis: Wallace sat out the previous two days to give his hurting ankle a rest, but his participation in Friday's session bodes well for him suiting up Sunday against the Browns. The Ravens will reveal his official status for Week 15 after Friday's practice comes to a close. Wallace (ankle) will sit out Thursday's practice, Jamison Hensley of ESPN.com reports. Analysis: Wallace tweaked his right ankle early in the Week 14 loss to the Steelers, rendering him a non-participant for the Ravens' second straight practice of the week. Though Wallace is notorious for playing through injuries in the past, the Ravens and fantasy owners alike will want to see him practice in some capacity Friday to feel more confident about his chances of taking the field Sunday against the Browns. Wallace missed Wednesday's practice due to an ankle injury. Analysis: Wallace missed a few plays in Sunday night's loss to the Steelers after tweaking his ankle in the first quarter of the contest, but he ended up logging 40 of a possible 64 snaps, en route to hauling in three of his five targets for 72 yards. More on the wideout's status Thursday, but given that Wallace was able to play through his ankle issue in Week 14, his absence from practice Wednesday may simply be maintenance-related. Wallace (undisclosed) did not practice Wednesday, the Baltimore Sun reports. Analysis: We'll have to see what's bothering the wideout, but the report notes that Wallace missed a few plays in Sunday night's loss to the Steelers after suffering what appeared to be a right ankle injury in the first quarter of the contest. Wallace caught three of five targets for 72 yards in Sunday's loss to the Steelers. Wallace caught five of eight targets for 116 yards during Sunday's 44-20 win over the Lions. Wallace caught five of 11 targets for 48 yards in Monday night's 23-16 win over the Texans. Analysis: Wallace led the Ravens in all major receiving categories, but his mere 48 yards on a season-high 11 looks evidences just how tame the team's passing attack has been. Through 10 appearances, Wallace has topped 60 yards just once. 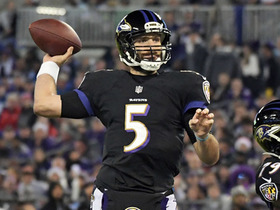 Although he entered Monday having scored in consecutive outings, Baltimore was held without a passing touchdown for the first time since Week 6. The team will look to improve in that department against the Lions this Sunday. Wallace caught each of his four targets for 56 yards and a touchdown in Sunday's 23-0 win over the Packers. Wallace (back) recorded four catches for 19 yards and a touchdown on seven targets in Sunday's 23-20 loss to the Titans. Wallace (back) is listed as active for Sunday's road game against the Titans. Analysis: Wallace, who was held out of the Ravens' 40-0 win over the Dolphins in Week 8 due to a concussion, is back in business, which sets the stage for both him and Jeremy Maclin (shoulder) to be available for the first time since Week 5. Meanwhile, QB Joe Flacco (concussion) is also active, with the trio taking aim at a Tennessee defense that has allowed an average of 229.3 passing yards and a total of 13 passing TDs over the course of seven contests. Wallace (back) is expected to play Sunday against the Titans, a source told Adam Schefter of ESPN. Analysis: Wallace was held out of the Ravens' 40-0 win over the Dolphins in Week 8 after having suffered a concussion just four days prior. He returned to practice having passed the league's concussion protocol only to suffer a sore back and was limited Thursday. He was a full participant Friday and is listed as questionable on the official injury report. It doesn't look like either ailment will keep him out this week. Wallace (back) was a full practice participant Friday and is listed as questionable for Sunday's game against the Titans. Analysis: Wallace was held out of last Thursday's 40-0 win over the Dolphins, having suffered a concussion just four days prior. Among the 12 Ravens listed as questionable this week, Wallace is one of the safest bets to play, though cautious owners may still want to check back in after inactive lists are released at approximately 11:30 a.m. ET on Sunday. Baltimore likely will have both Wallace and Jeremy Maclin active for the first time since Week 5. 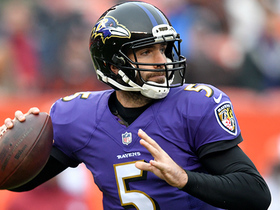 Joe Flacco (concussion) also is in line to play. Wallace (back) was listed as a limited practice participant Thursday. Analysis: On the plus side, Wallace has cleared concussion protocol, but Wednesday's limitations due to his back issue make the wideout's status worth tracking as Sunday's game against the Titans approaches. Wallace (concussion) was a full participant at Wednesday's practice. Analysis: Wallace never had much chance to play last week with the Ravens facing the Dolphins on Thursday. Now more than a week removed from suffering a concussion, he's on track to return for Sunday's game in Tennessee. The Ravens figure to have Wallace and Jeremy Maclin (shoulder) on the field together for the first time since Week 5. As always, it's tough to trust any player involved in the Baltimore passing attack. NFL Network's Mike Garafolo talks about the return of Philadelphia Eagles QB Carson Wentz and the loss of wide receiver Mike Wallace. 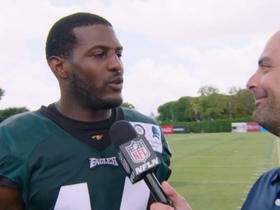 NFL Network's Mike Garafolo brings the latest information from Eagles training camp including the addition of wide receiver Mike Wallace. Baltimore Ravens QB Joe Flacco hits wide receiver Mike Wallace for a touchdown pass. Baltimore Ravens quarterback Joe Flacco fires over the middle to wide receiver Mike Wallace for 19 yards. Baltimore Ravens quarterback Joe Flacco fires a dart to wide receiver Mike Wallace for 23 yards. 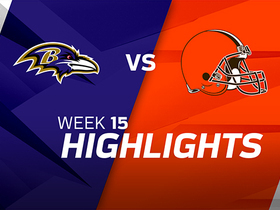 Check out the best plays from the Baltimore Ravens matchup with the Cleveland Browns from Week 15. Cleveland Browns defensive lineman Myles Garret smacks the pass from Ravens QB Joe Flacco at the line. 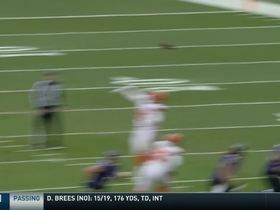 Baltimore Ravens QB Joe Flacco lofts a 30-yard pass down field to wide receiver Mike Wallace who makes a spectacular grab. Pittsburgh Steelers cornerback Artie Burns saves a touchdown with incredible pass defense.